Originally published in Creation 27, no 3 (June 2005): 44-49. The radioisotope methods, long touted as irrefutably dating the earth as countless millions of years old, have repeatedly failed to give reliable and meaningful absolute ages for Grand Canyon rocks. Rafting through Grand Canyon, northern Arizona, is a most exhilarating and enjoyable experience. Deep below the rim, the crystalline basement rocks tower above the turbulent Colorado River. Official publications say these rocks are more than a billion years old, but when the methods used to date them are carefully examined, a totally different story is discovered. Figure 1: Crystalline rocks—light-coloured and pink granites, and darker metamorphic rocks—within the Inner Gorge of Grand Canyon. 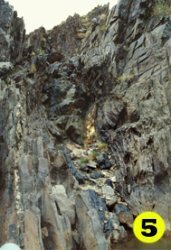 Clearly visible in the walls of the Inner Gorge are spectacular light-coloured rocks, such as the pink granites,1 which stand out starkly against the darker, metamorphic rocks2 (figures 1 and 2). 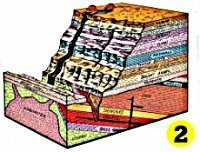 The latter are former sedimentary and volcanic layers that have been transformed (metamorphosed) by heat and pressure during intense geologic upheavals in the past. Among these volcanic layers are distinctive dark-coloured rocks called amphibolites3 (figure 3). These were once flows of basalt lava, up to tens of metres thick (figure 4). Some outcrops reveal round pillow structures, showing that the basalt lavas erupted under water. Based on radiometric dating, long-age geologists say that the basalt lavas erupted 1,745 million years ago4 and were metamorphosed some 1,700 million years ago.5 Many people, including many scientists, accept these dates as absolute truth. They believe that when different radio-dating methods are used on the same rocks, they will all yield the same age. But the quest to test this belief by sampling rocks from deep within Grand Canyon has found it is not true. 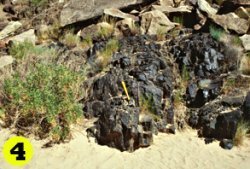 Figure 3: Outcrop of the black, metamorphosed basalt flows called amphibolites. Figure 4: Closer view of an outcrop of amphibolite where a single 1.5 m (5 ft) wide, original basalt flow (now tilted vertically) can be identified. Figure 5: The thin vertical amphibolite layer (darker rock) just upstream of Clear Creek. All the samples were sent to two well-respected commercial laboratories for radioisotope testing.8 Both laboratories use standard, best-practice procedures on state-of-the-art equipment and routinely provide accurate and repeatable measurements of the required isotopes. It is important to realize that the laboratories do not measure the “age” of the rocks but the isotopes in them at the present time. Geologists calculate an “age” using the measured amount of a “daughter” isotope (e.g. argon) and its corresponding “parent” isotope (e.g. potassium). However, before this calculation can be made, it is necessary to assume how much of the “daughter” and “parent” were present when the rock formed. It is also necessary to assume that no isotopes were gained or lost over time and that the rate of radioactive decay has remained constant at the very slow rate measured today. 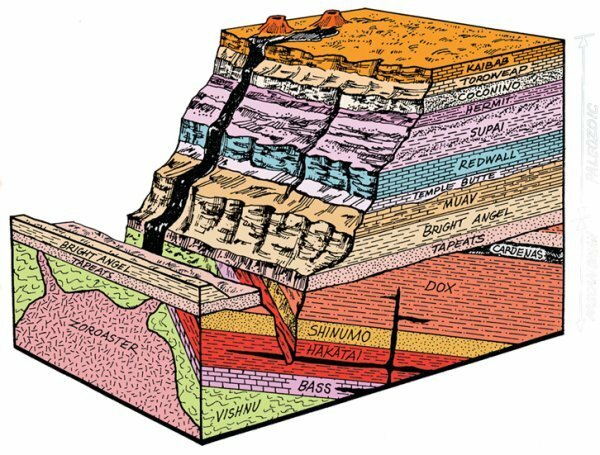 Figure 2: Schematic geologic diagram of the rock layers in Grand Canyon. The crystalline rocks of the Inner Gorge are below the horizontal strata of the main canyon walls (after Austin, ref. 13). The problem is that we don’t know whether these assumptions are reasonable (because they are not provable), and it is especially awkward for metamorphic rocks. Geologists overcome this problem by “interpreting” the result. For example, the calculated “age” could be taken as the “date” of metamorphism, or it could be the “age” of the original volcanic (or sedimentary) rock, or something in between, or something else. The calculated ages for all the individual samples from the same geologic formation using the same dating method turned out to be vastly different (see box, “Calculating the ages”, below), even for those closely spaced samples from the same outcrop of the same lava flow. The results are not even close to each other, although the samples should all have given the same age. Furthermore, the ages calculated for these Grand Canyon rocks using three different “isochron” methods also disagreed greatly with each other. Even when the error margins are taken into account, the three different dating methods give completely different “ages” that cannot be explained away. Indeed, none of the isochron “ages” corresponds to the “date” for any theorized geologic event—neither the original lava eruptions nor the subsequent metamorphism. Clearly, the calculated ages are useless for dating any event. The so-called “model”1 potassium-argon (K-Ar) “ages” calculated for each of the 27 amphibolite samples from Grand Canyon ranged from 405.1 ± 10 Ma (million years) to 2,574.2 ± 73 Ma. That is a six-fold difference, for samples that should be of similar age. Note that the error estimates (the ± numbers) are small compared with the age. They are also small compared with the variation in ages between samples. This means that the laboratory testing was precise. However, as the results show, the error estimates say nothing about the accuracy of the “ages” of the rock samples. Furthermore, the seven samples from the small amphibolite unit near Clear Creek, which should be even closer in age because they belong to the same metamorphosed basalt lava flow, yielded K-Ar model “ages” ranging from 1,060.4 ± 28 Ma to 2,574.2 ± 73 Ma (figure 6). This includes two samples only 0.84 m (2 ft 9 in) apart that yielded K-Ar model “ages” of 1,205.3 ± 31 and 2,574.2 ± 73 Ma. Clearly, there is a problem with the assumptions on which the K-Ar “ages” are calculated. The isotopic results other than potassium-argon (K-Ar), namely rubidium-strontium (Rb-Sr), samarium-neodymium (Sm-Nd) and lead-lead (Pb-Pb), were used to calculate ages for the rock formation utilizing isochrons.2 Three ages altogether were obtained, one for each isotopic system. The best isochron plots are where the straight line of best-fit falls within the analytical errors (the ± values) for each data point. Routinely, if the data set is large, a few outlying data points are ignored if they don’t plot on the line. Geologists justify this, saying that some geochemical alteration in the past disturbed the radioisotopes in those samples. Note that the quoted “age” error margins (the ± values) are relatively small, due to the excellent statistical “fit” of these isochrons to the data. In spite of this, the three different radioisotope methods give three very different “ages”—that is the “isochron discordance” is pronounced. Figure 8 graphically illustrates how that, even when the calculated error margins are taken into account, the different radioisotope dating methods yield vastly different “ages” that cannot be reconciled. The radioisotope methods, long touted as irrefutably dating the earth as countless millions of years old, have repeatedly failed to give reliable and meaningful absolute ages for Grand Canyon rocks. Irreconcilable disagreement within, and between, the methods is the norm, even at outcrop scale. In fact, when carefully examined, this radioisotopic evidence is consistent with the view that these rocks are young (see box, “Accelerated radioactive decay in the past”, below). Figure 7: Isochron plots for the Brahma amphibolites. (A) Rb-Sr (B) Sm-Nd (C) Pb-Pb. The crosses and ellipses are the data points (sample analyses) and their sizes are proportional to the ± analytical errors. Figure 6: Sketched plan view of the extent of the thin amphibolite layer just upstream of Clear Creek showing the locations of the “dated” samples and their calculated K-Ar “ages”. 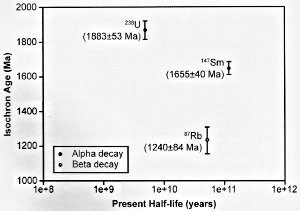 Figure 8: Present half-lives versus isochron “ages” for the different radioisotopes “dating” the Brahma amphibolites. For example, if accelerated radioisotope decay occurred, then alpha-decaying radioisotopes would yield older isochron “ages” than beta-decaying radioisotopes. This is exactly the pattern in the Brahma amphibolites in Grand Canyon (figure 8). Because the different radioisotope pairs are supposed to be dating the same geologic (rock formation) event, different “dates” mean that the parent radioisotopes decayed at different rates over the same time period. In other words, the decay of the parent radioisotopes was accelerated by different amounts, the decay of those yielding older “ages” (the alpha-decayers) having been accelerated more. This again matches theory. 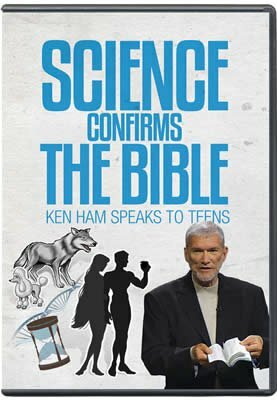 Obviously, if radioisotope decay was accelerated, say during the Genesis Flood, then the radioisotope decay “clocks” could never be relied upon when they “date” rocks as millions and billions of years old. Indeed, there are several independent lines of irrefutable evidence7,8,9which indicate that the rates of decay of these long-age radioisotopes were grossly accelerated during some event in the past, up to millions of times faster than their currently measured rates. Thus, it is entirely plausible that the rocks are only a few thousand years old. E.g. the Zoroaster Granite. Geological formations have names for ease of identification. The Vishnu Schist and other rocks of the Granite Gorge Metamorphic Suite. See Karlstrom, K.E., Ilg, B.R., Williams, M.L., Hawkins, D.P., Bowring, S.A. and Seaman, S.J., Paleoproterozoic rocks of the Granite Gorges; in: Beus, S.S. and Morales, M. (Eds. ), Grand Canyon Geology, 2nd edition, Oxford University Press, New York, pp. 9–38, 2003. Belonging to a rock unit called the Brahma Schist. 1741–1750 million years (Ma) based on U-Pb (uranium-lead) “dating” of “original” zircon grains in metamorphosed felsic (granitic) volcanic rock layers within the Brahma and Rama Schists. See Ilg, B.R., Karlstrom, K.E., Hawkins, D.P. 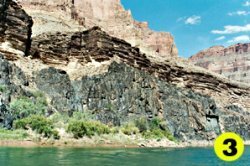 and Williams, M.L., Tectonic evolution of Paleoproterozoic rocks of Grand Canyon: Insights into middle-crustal processes, Geological Society of America Bulletin 108:1149–1166, 1996, and Hawkins, D.P., Bowring, S.A., Ilg, B.R., Karlstrom, K.E. 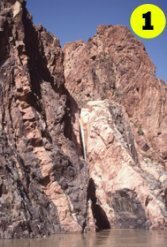 and Williams, M.L., U-Pb geochronologic constraints on the Paleoproterozoic crustal evolution of the Upper Granite Gorge, Grand Canyon, Arizona, Geological Society of America Bulletin 108:1167–1181, 1996. 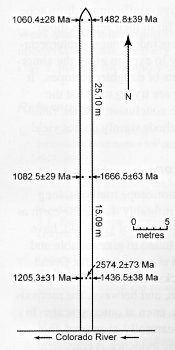 1690–1710 Ma based on U-Pb “dating” of minerals (monazite, xenotime and titanite) that formed in the overlying Vishnu Schist and underlying Rama Schist during the metamorphism. See Hawkins et al., ref. 4, and Hawkins, D.P. and Bowring, S.A., U-Pb monazite, xenotime, and titanite geochronological constraints on the prograde to post-peak metamorphic thermal history of Paleoproterozoic migmatites from Grand Canyon, Arizona, Contributions to Mineralogy and Petrology 134:150–169, 1999. These samples were collected with a Scientific Research and Collecting Permit issued by the Grand Canyon National Park, as part of the RATE (Radioisotopes and the Age of The Earth) project. 50 m (160 ft) long and 2 m (7 ft) wide, outcropping just upstream from the mouth of Clear Creek at river mile 84 (measured from Lees Ferry). “Whole rock” samples were analyzed in all cases—K-Ar at Activation Laboratories, Ancaster, Ontario, Canada; Rb-Sr, Sm-Nd and Pb-Pb at the PRISE Laboratory, Research School of Earth Sciences, Australian National University, Canberra, Australia. Snelling, A.A., Austin, S.A. and Hoesch, W.A., Radioisotopes in the diabase sill (Upper Precambrian) at Bass Rapids, Grand Canyon, Arizona: An application and test of the isochron dating method; in: Ivey, R.L. Jr., (Ed. ), Proceedings of the Fifth International Conference on Creationism, Creation Science Fellowship, Pittsburgh, Pennsylvania, pp. 269–284, 2003. Musaka, S.B., Wilson, A.H. and Carlson, R.W., A multielement geochronologic study of the Great Dyke, Zimbabwe: Significance of the robust and reset ages, Earth and Planetary Science Letters 164:353–369, 1998. Some might argue that these radio-dating methods still give “ages” of many millions of years, as required by evolutionists. However, there is irrefutable evidence that the rates of radioactive decay of these “dating” isotopes were grossly accelerated in the past, being up to millions of times faster than their currently measured rates (see box, “Accelerated radioactive decay in the past”, above). Austin, S.A. (Ed. ), Grand Canyon: Monument to the Catastrophe, Institute for Creation Research, Santee, California, ch. 4, pp. 57–82, 1994.